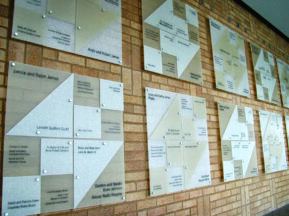 The Coralville Marriott Hotel & Conference Center is located on lushly landscaped grounds along the Iowa River, adjacent to The University of Iowa. 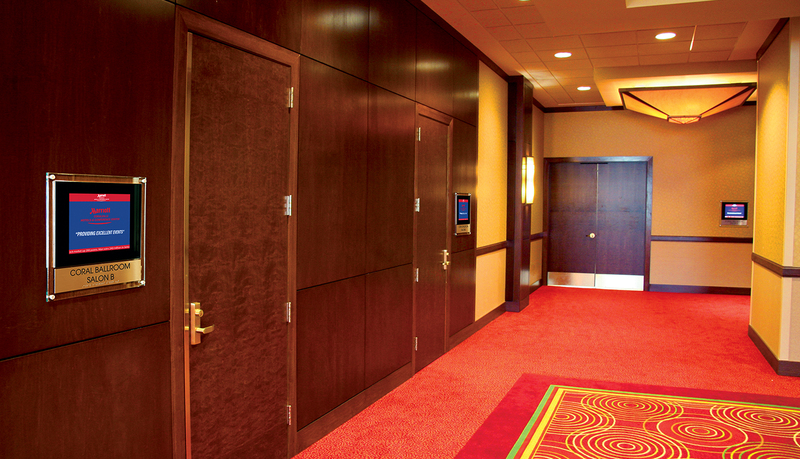 With more than 60,000 square-feet of flexible space, including a 30,000 square-foot exhibit hall, the Coralville Marriott offers the area’s largest meeting and event accommodations and features full service catering, audio-visual support and state-of-the-art technology. 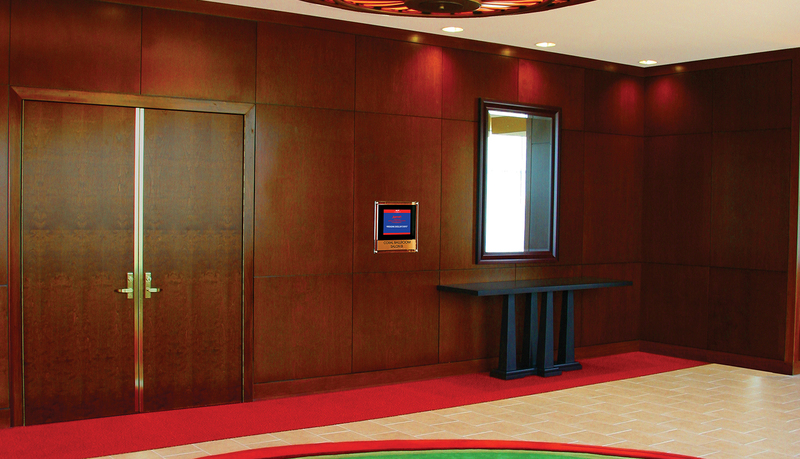 A digital wayfinding and information management system was needed to ensure efficient, real-time communication of meeting events to guests. 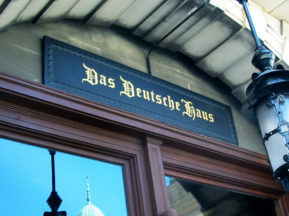 Because there would be close to 30 digital displays spread throughout the 60,000 s.f. 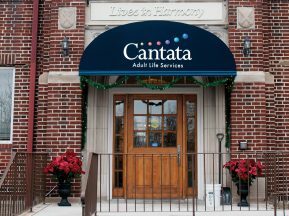 space, the staff required a digital signage solution that could be easily maintained and updated from a single workstation. 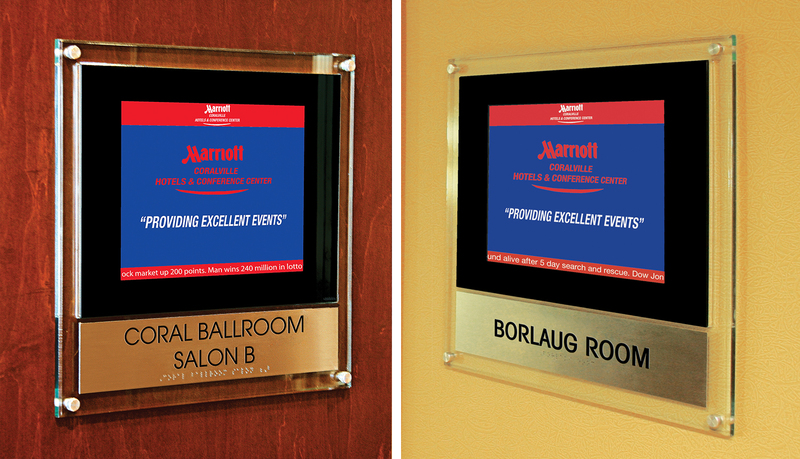 ASI’s digital signage offers user-friendly information management software – the ideal solution for the Coralville Marriott because it allows the staff to control all information being displayed to the ballrooms and conference rooms from a central location. 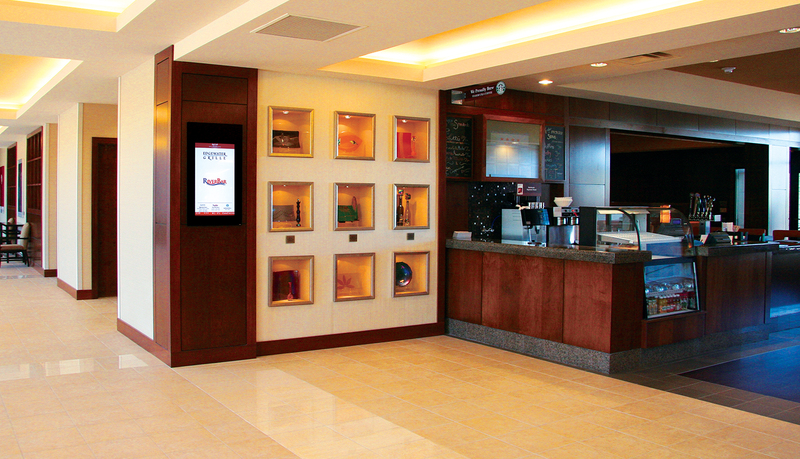 ASI strategically placed the digital units at key decision points such as the lobby entrances and the entrance to the conference center to provide visitors with clear information to help guide them to their destination. 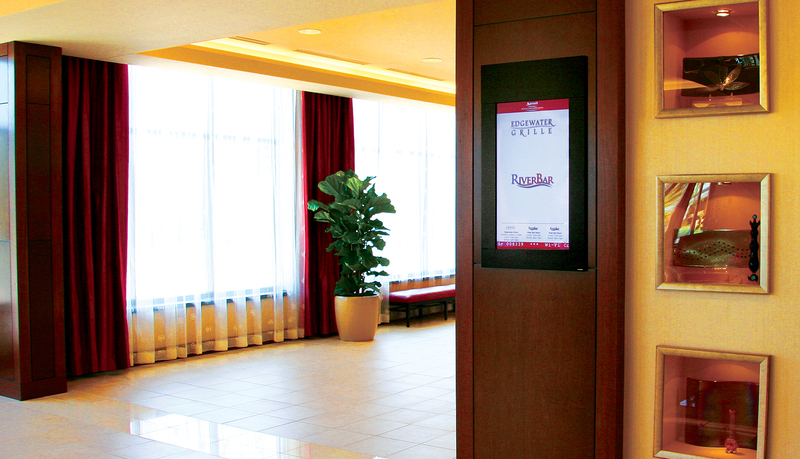 A 40” digital panel, mounted into a large wood-grain cabinet in the hotel lobby, welcomes visitors and guests to the Coralville Marriott by providing meeting and event information and directions to each event. 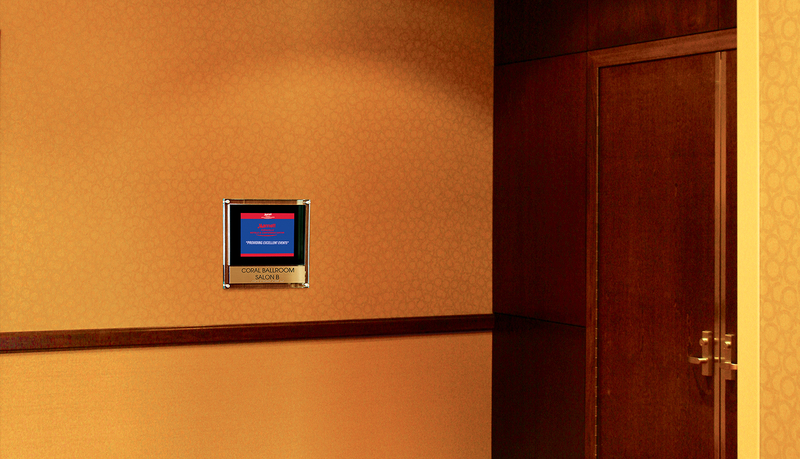 Inside the ballroom and conference center area, a total of twenty-five 15” digital displays communicate real-time event and meeting information to the guests and meeting attendees. 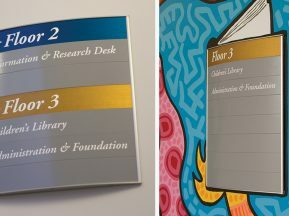 Two 32” wall-mounted displays provide additional information and wayfinding guidance to meeting attendees when they enter the 60,000 square foot meeting space. 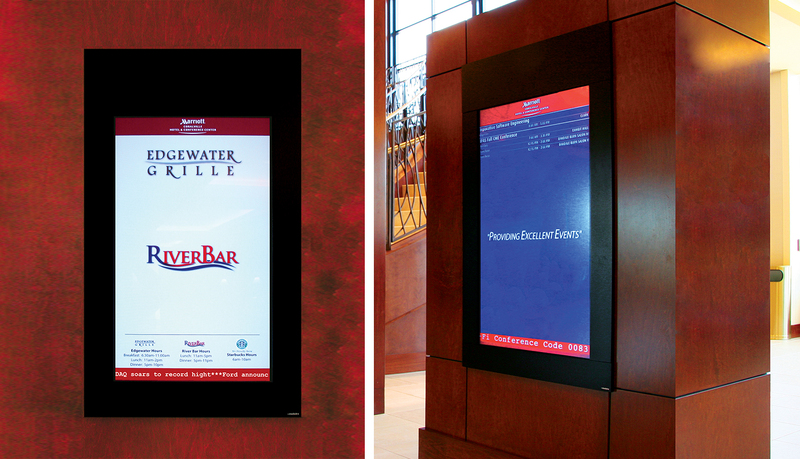 Patrons of the River Bar, a restaurant and lounge located inside the Coralville Marriott, can view restaurant and drink specials and special events on a 32” display. 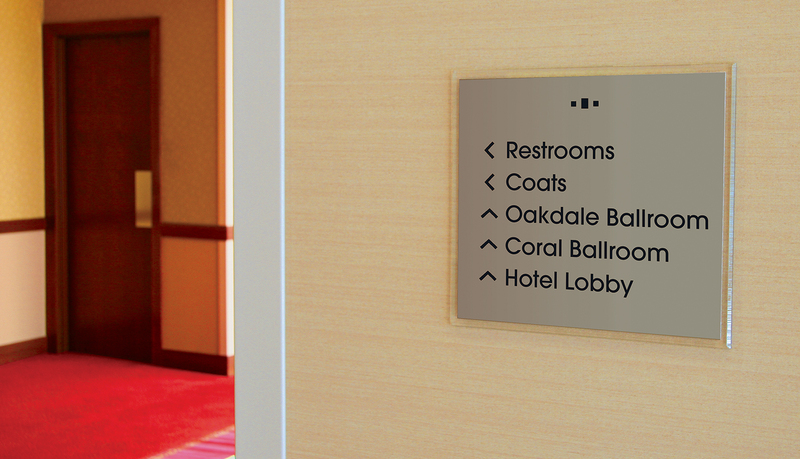 In addition to providing a digital signage solution for the hotel and conference center, ASI also developed, manufactured and installed custom ADA-Ready interior signage for the Coralville Marriott.